[In the drought year of 2002] streams that flow from the nearby San Juan and Sangre de Cristo Mountains slowed to a trickle, some of them before the normal irrigation season had even begun. Rushing water created by snow from the previous winter failed to materialize. That left the ditches, creeks and rivers that recharge the valley’s aquifers dry. The precious groundwater had plenty of demands, and no supply. Farmers began to cast blame as to who caused the problem. Fingers pointed at the state, water managers, Mother Nature, and among the farmers themselves, divided into camps depending on where they got their water. All the while, many farmers kept pumping whatever water they could find and the aquifer continued its unprecedented decline. Instead of giving in to the divisions that could have so easily fractured the rural valley of about 47,000 residents, a group of farmers decided to embark on a risky experiment — the first of its kind in the United States. They agreed to pay more money for the water they pump out of the ground by imposing fees, a kind of tax, per acre-foot of water. To get to that point, family farmers had to put aside old grudges and recognize their shared fate in the aquifer under their feet. By the end of 2002, it was clear the valley’s farmers were fast approaching a crossroads. Colorado’s top water enforcer, the state engineer, made clear that if the farmers continued to pump from the underground aquifer he would be forced to shut them down. They were running afoul of the state’s [prior appropriation doctrine] water laws, which prioritize water rights based on their effective date. Some farmers who held rights to divert water from streams dating back to the late 1800s were seeing their supplies drop, partially thanks to water wells dug decades later in the 1950s and ‘60s. In Colorado, when a younger water right is curtailing an older one, it is a serious problem. In the years that followed the 2002 drought, scientists did enough research and monitoring to link the reduction of the aquifer to the limited availability of surface streams. For the farmers that depend on the aquifer, the choice was simple: keep pumping until everyone’s supplies ran out and risk the ire of state water officials; or, find a way to curb their pumping. “It was really the first effort here in a recognition that if they didn’t do something that the consequences would be pretty grave,” says Cleave Simpson, director of the Rio Grande Water Conservation District, the valley’s main water management authority. Communities formed a network of subdistricts that could levy fees on water use, self-governed by the farmers themselves. Subdistrict one, the largest and most heavily irrigated in the valley, was the first. Today, farmers in subdistrict one pay $75 for each acre-foot of water they pump and another $8 for every acre of crops where that water is used. An acre-foot is the standard unit of measurement when talking about vast amounts of water, and easy enough to visualize. It’s the amount of water spread out over an acre at a depth of one foot. If those same farmers are recharging the aquifer by applying surface water to their crops, they’re given a credit for that added water. Some farmers who pump end up paying nothing at all if their water use finds a balance between the amounts pumped and recharged. For some bigger farms without surface water rights, that is not the case. Their annual water use fees can total tens of thousands, sometimes hundreds of thousands, of dollars. That money is then invested in a fallowing program that pays farmers not to plant or to purchase farmland outright. While the fees have been tough for some farmers to swallow, at least a majority have internalized the goal. Take a trip back through the Coyote Gulch archives San Luis Valley Groundwater category. With record high temperatures scorching the Southwest this week, farmers were quickly reminded of the severe droughts that threatened their crops and livelihood in recent years. How will they manage increasingly scarce water when drought comes again? A new CU Boulder-led study suggests that self-imposed well-pumping fees can play an important role, incentivizing farmers to slash use by a third, plant less thirsty crops and water more efficiently. 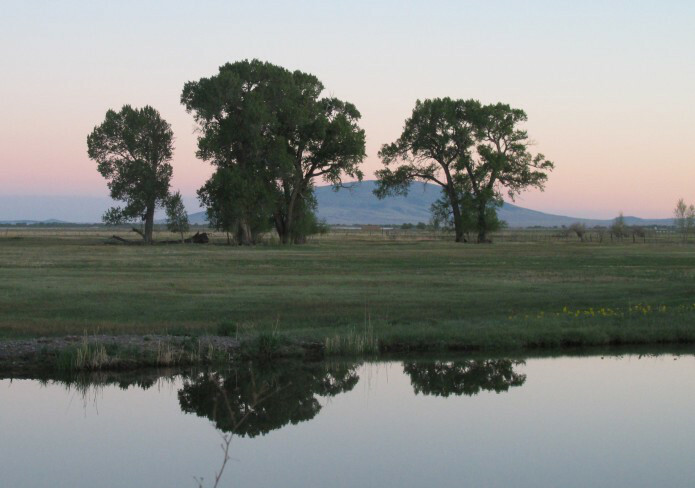 The study centered around a novel initiative in Colorado’s San Luis Valley, where several hundred farmers voted to self-impose a fee on groundwater—which is typically free and largely unregulated—beginning in 2011. The move came after a historic drought in 2002 and subsequent dryer-than-average years left the region’s aquifer depleted and some farmers worried that the state might begin shutting down wells, as it had in other areas. Historically, farmers have relied primarily on surface water from streams and run-off, but as population growth and climate change have strained supplies, agriculture has grown increasingly reliant on water pumped from underground. The new fee, now at $75 per acre foot of water, is among the first in the nation. About 700 farmers who manage 170,000 acres are subject to the fee. Proceeds are used to help local irrigators buy supplemental surface water or to pay them to let their acreage go fallow, or unused, in dry years. As part of a National Science Foundation grant aimed at assessing self-organized water conservation programs, CU Boulder researchers have spent years in the San Luis Valley Basin meeting with stakeholders and collecting data. “With this study, we have been able to offer validation that what they are doing is working,” said co-author Kelsey Cody, a graduate research assistant in CU Boulder’s environmental studies program. The study drew upon five years of data from farmers inside and outside the fee district before and after it was implemented. It found that farmers subjected to the fee pumped 32 percent less water per year on average. Some switched to less water intensive crops. Others upgraded to more water-efficient irrigation equipment. Notably, some did not reduce their water use at all and instead opted to pay extra. “This is because a fee does not prescribe what one can and cannot do; it just forces the irrigator to consider the cost of the water itself,” notes lead author Steven Smith, who did the research as a doctoral student at CU Boulder and who is now an assistant professor of economics at Colorado School of Mines. The authors stress that while the study confirms that irrigators are using less water and changing their farming practices, more research is necessary to determine how the fee has impacted them financially and whether the fee has caused the aquifer to recharge. Another study is in the works. Despite wetter weather in the past year, the participating irrigators intend to keep the fee in place, and other nearby districts are moving to implement a similar one, said Cleave Simpson, general manager of the Rio Grande Water Conservation District, which helps facilitate the fee. As lawmakers in California, Texas, and other states ponder ways to regulate groundwater use, the researchers hope what’s happening in the San Luis Valley can serve as a lesson. The authors stress that a self-imposed groundwater fee may not be appropriate for all agricultural areas, but as the state looks for ways to conserve groundwater, it could be one effective tool. 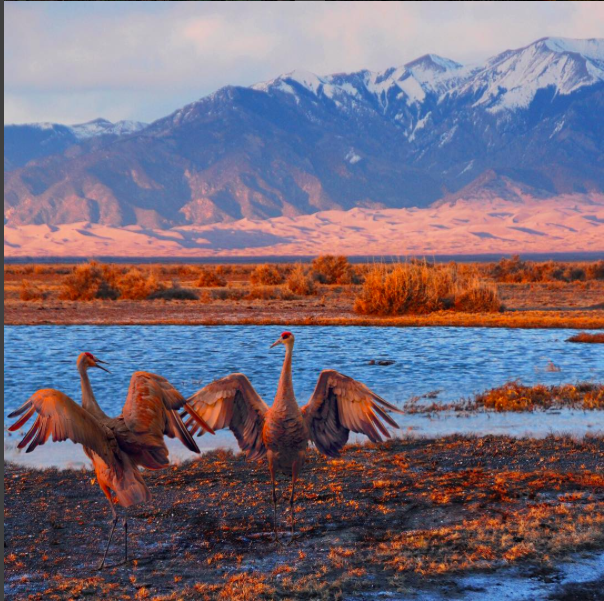 Water is the glue that holds the San Luis Valley together. It is vital to the people, the economy, lifestyle and even the physical landscape of the Valley itself. There are two aquifers that lie beneath the Valley floor. One is the confined aquifer that is trapped below a series of clay lenses deep beneath the Valley floor. 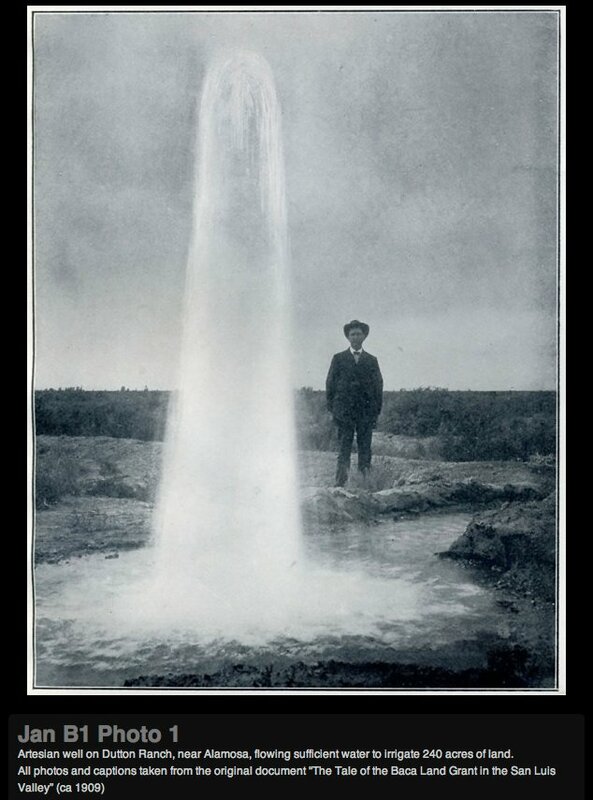 The other is the unconfined aquifer that is generally found within the first 100 feet of the surface. Without the water from these aquifers, the San Luis Valley would very likely not be the agricultural workhorse that we know today. There are also unique geological structures such as Rio Grande Rift that contributes to when and where water travels throughout the Valley subsurface. Aquifers are key, particularly the unconfined. The water of the unconfined aquifer functions very much like surface water. The recharge of this important commodity comes from the mountains and the snow that brings down their runoff. The unconfined aquifer supplies 85 percent of agricultural well water. The largest concentration of these wells lies within Sub-district #1. The confined aquifer lies beneath the unconfined aquifer. There are clay layers that separate the aquifers. Historic Alamosa Lake is likely responsible for the formation of these layers. The water that lies beneath the surface is heavily relied upon by the agricultural community. There are also differences in how each of the aquifers react. In addition, any well in the San Luis Valley inevitably impacts the river flow at some point. As a Valley native from Saguache, Allen Davey of Davis Engineering Services has studied the San Luis Valley aquifer system extensively. He also has a great deal of background on the Valley’s water issues. Davey points out that the aquifers and well levels have been monitored since 1970, when accurate measurements were first available. Since that time, there have been notable trends in the increase and decrease of the aquifer and well levels. The water table itself has seen a significant and steady decline partly due to the sheer number of wells that have been drilled. More water has been taken than replaced. 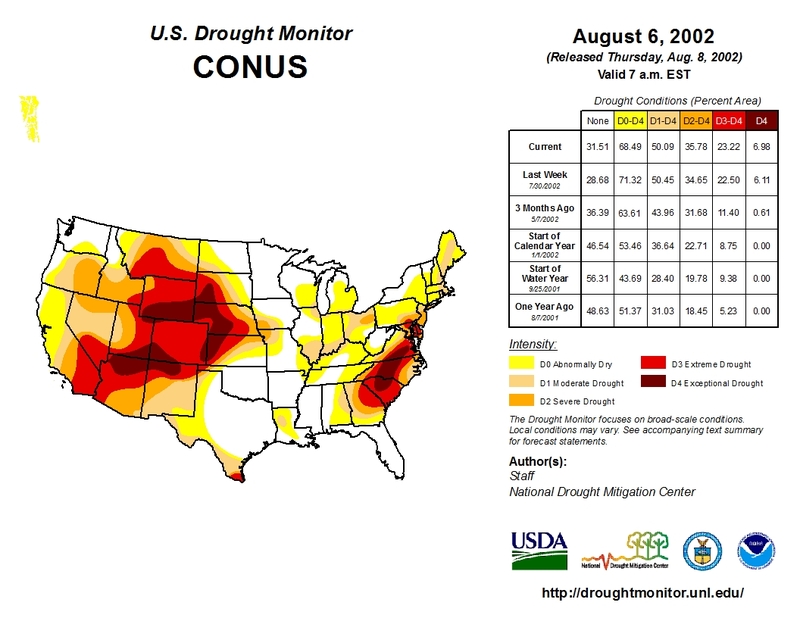 The worst decrease was the extreme drought that began in 2002. Historically speaking, demand has simply outweighed supply. Because of these factors, there are now big implications for the future. Davey also explained that the aquifers are situated very much like a bowl of water. This means that there is pressure that pushes the water upward from beneath the clay and downward pressure from the surface. The result is wells in the confined aquifer have high amounts of pressure, the result of which is artesian flow. Both confined and unconfined wells are heavily relied upon especially for agriculture irrigation. This has resulted in a widening gap between the aquifer waters and the surface. Because this gap between the water and the surface has increased, it is now not impossible that there is potential for the Valley floor to begin sinking if the aquifer is not replenished. Rebuilding the aquifer system has now become even more necessary than many once thought. It has now become imperative that this issue be addressed. It is also critical that the recharge process is working properly. The effort to replace the depletions and rebuild the aquifer is another piece to this puzzle. This is where sub-districts, the Rio Grande Water Conservation District and the pending well rules and regulations for Division 3 come in. The pending regulations for Division 3 require well users to replace their depletions. There is also a slow gain in the northern portions of the aquifer system being seen though studies and reports that Davis Engineering Services provides to the Rio Grande Water Conservation District. Because the well owners of Sub-district #1 have been replacing their depletions, Davey believes that the aquifer is headed in the right direction because of monitoring and reduced pumping. Replacing depletions will only help agriculture as well as Colorado’s obligation to the Rio Grande Compact. The well rules for Division 3 and the replacement efforts are still a work in progress. However, it would appear that these measures are producing some results. The trial to finalize the rules for Division 3 is set for January of 2018. If and when these rules are approved, a great deal of change will arrive. Arguably, it is necessary change. The future remains to be seen. There is certainly a great deal of importance in this matter when considering the agriculture, the people and the future of the San Luis Valley. This is a unique situation that will require a unique solution. The Rio Grande Basin Roundtable meets the second Tuesday of every month. Meetings are located at the San Luis Valley Water Conservancy District office at 623 4th St. Alamosa. For more information visit http://www.RGBRT.org. The sponsoring district board unanimously accepted petitions for its latest subdistrict , which encompasses 141 wells covering 170 parcels of land in Conejos County. Rio Grande Water Conservation District (RGWCD) Program Manager Amber Pacheco presented to the sponsoring district board on Tuesday petitions representing 141 of a potential 198 wells in Sub-district #3. Nathan Coombs and LeRoy Salazar, who were part of the group that formed the subdistrict , were also present for the petition presentation to the RGWCD board. Pacheco said the group was very successful in persuading well owners to join the sub-district , which is an “opt-in” sub-district . People had to choose to join. The first sub-district , on the other hand, was drawn up to cover a specific geographical area in the Valley’s closed basin region, and the work group then had to gather petitions from at least 51 percent of the landowners and 51 percent of the land. Pacheco said efforts were made to contact every well owner in the Conejos subdistrict to give them the opportunity to join the subdistrict . Only one well owner, whose address was in Florida, did not respond at all, and another did not want to be involved. Both of those wells had not been used in a while. After receiving the petitions , RGWCD staff verified ownership and legal descriptions before presenting them to the board. “It’s a massive undertaking ,” said RGWCD General Manager Cleave Simpson who commended the staff who completed that process. He also commended the residents who have been working on this for some time. RGWCD Attorney David Robbins said the process now is to file the petitions with the district court in Conejos County (because that is where the land lies in this subdistrict ) and seek the court’s approval for the sub-district’s formation. The court must hold a hearing no less than 60 days and no more than 90 days after receiving the petitions , he added. Individuals with questions or challenges against the sub-district formation may express those to the court. RGWCD staff has been meeting with entities such as the towns of La Jara and Saguache and the East Alamosa Water & Sanitation District to discuss their options for contracting with sub-districts . Discussions are also occurring with federal agencies. The shallow aquifer leaned on heavily by farmers in the San Luis Valley is up 58,000 acre-feet over last year at this time. The news delivered by Rio Grande Water Conservation District Engineer Allen Davey marks the third straight year the aquifer has gained. “The last three years have seen a significant change in direction,” he told the district’s board Tuesday. Davey, as he has in previous years, credited gains to the reduction in groundwater pumping by well owners in Subdistrict No. 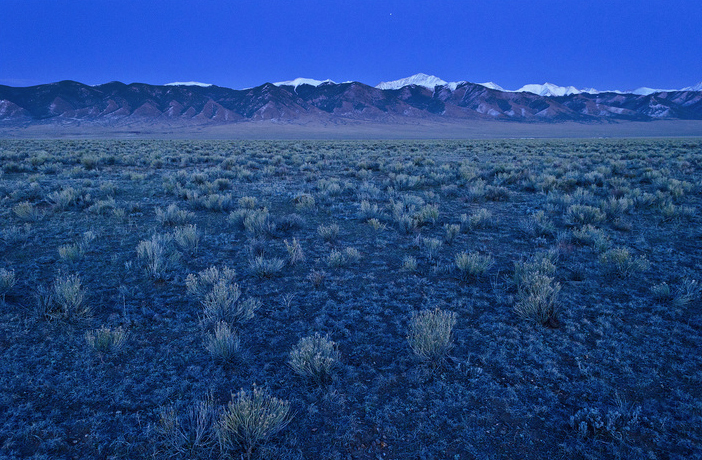 1, which takes in 163,000 irrigated acres in the north-central part of the San Luis Valley. The subdistrict, which was implemented four years ago, assesses a combination of fees on its members that aim to reduce pumping and also pay to fallow farm ground. Groundwater pumping was expected to be 238,000 acre-feet, according to the subdistrict documents, although a final tally won’t come until later in the year. Landowners in the subdistrict have also fallowed 14,245 acres of ground since 2013 through the U.S. Department of Agriculture’s Conservation Reserve Enhancement Program. The program pays farmers to either permanently retire ground or fallow for 15 years. Davey also said Mother Nature has cooperated by providing decent snowpack. “If we can just get in that cycle where we’re average, we have a good future ahead of us,” he said. The shallow aquifer, also known as the unconfined aquifer, recharges from stream flow and from the return flows that follow surface-water irrigation by farmers. Once stream flows dwindle in late summer, farmers typically rely on groundwater to finish their crops. The shallow aquifer has recovered by nearly 250,000 acre-feet since 2013. The aquifer would have to recover by another 350,000 acre-feet to meet the goals laid out in the subdistrict’s management plan.